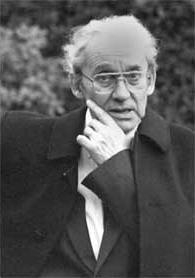 In addition to teaching Husserlian phenomenology, I work with a number of students whose primary interest is narrative, and in response I’ve recently turned to works by writers including Paul Ricoeur—in particular, Oneself as Another (1995)—and Donald Spence’s (1982) Narrative Truth and Historical Truth: Meaning and Interpretation in Psychoanalysis. What follows are some initial reflections prompted by these writers’ complex meditations upon the meaning of “narrative,” in response to the needs of my students. Why should we reflect on narrative? Aren’t we interested in “narratives,” plural? In the interest of full disclosure, I want to acknowledge my methodological bias. I don’t mean that I am deeply prejudiced in favor of a specific method, although as a researcher I am personally committed to working with descriptive phenomenology—what I mean is that I am biased regarding the importance for psychologists of achieving a methodological perspective as a prerequisite for conducting meaningful human science research. Arguably my strong emphasis on the importance of methodological clarity is not at all a “bias,” in the pejorative sense of the word. It may be that a well-articulated method is a prerequisite for good psychological research as such—be it qualitative or quantitative—and I’ve made that case in a recent article in the Journal of Phenomenological Psychology. One of the less salubrious impacts of postmodern philosophy on the qualitative research movement has been to popularize a relativized, and at times even dismissive, attitude toward the very idea of methodical research. Flexibility of approach is sometimes counterpoised to methodical rigor—an unnecessary tradeoff, in my view. Rigor in research methods does not mean one’s approach is static: it means instead that one is able to clearly articulate what one is doing, and why, in response to the critical other. From my perspective, methods imply worldviews. This is so because methods imply views of what is most real, what counts as data, how we relate to the other in research, and in fact what the word “psychological” means in the first place. In summary, a method significantly shapes the horizon of interest and perception for us, as researching human beings. The method we choose is a primary way we constitute the research situation itself as a lived encounter, and if we are unaware of this dimension of our praxis, or view method as merely a mechanical “tool” subordinate to the content of our research, we will constitute the research situation naïvely. So, returning to the theme of narrative—if we assume we already know what a “narrative” is, and what narration implies, without deeply reflecting upon the meaning of the term, then unfortunately our research is going to be fundamentally naïve. We risk adopting a “cookbook” approach to the research process in which we simply look for a list of more or less mechanical steps to fulfill in order to “get” results. I emphasize to my students that approaching research with a cookbook attitude is in fact incompatible with the meaning of human science itself—it’s an instrumental attitude that isn’t supportable in good qualitative or good empirical science. Similarly, if we focus exclusively on the content of our data, without reflecting on our unconscious or half-conscious interpretations of participant narratives, then the research situation, and our relationship to the other, will likely be distorted. Ricoeur observes that narrating one’s life is an activity intimately related to articulating or discovering self-identity. He writes, for example, “in many narratives the self seeks its identity on the scale of an entire life,” and “there is no ethically neutral narrative” (1995, p. 115). One implication we must contend with as we shift from a naïve or inexperienced attitude to a reflective one is the recognition that narrative can be viewed as a project of the self. In other words, a narrative is not a neutral documentation of “facts” as seen from an acosmic perspective; a narrative is never simply “what has happened” to the person. Hence, if we read narratives, or encounter interview data, as factical documents, we arguably have departed from the domain of psychology altogether. Focusing on “just the facts” might satisfy a juridical interest, but it cannot satisfy a psychological interest. As Spence (1982) observes in his reflections on psychoanalysis, from a critical perspective we may “assume that the patient is also under the influence of the narrative tradition, that he is always trying to participate in the analytic ‘conversation’ by presenting the analyst with a partly finished story, and that his wishes to be understood and appreciated tend to bias his utterances toward what is sayable and away from what ‘really’ happened” (p. 28). Just as therapists do not reduce clients’ descriptions of their experience to merely factual accounts (as if memory was merely a machine, reproducing data that had been previously recorded! ), but instead set aside facticity in order to attend to the meaning of what has been lived for the one who lived it, or for others…so must we adopt a specialized attitude when encountering interview data. My students will recognize that within the Husserlian phenomenological tradition researchers enter this specialized attitude by means of the phenomenological psychological reduction and the epoché. And as students of hermeneutics will recall, Ricoeur (1981) acknowledged, alongside his critical perspectives on Husserl, that “phenomenology remains the unsurpassable presupposition of hermeneutics” (p. 101). So even in our differences, phenomenologists and hermeneuticians inherit and participate in a shared tradition. When I comment that narrative is a “project of the self,” what I mean is that narrating implies the motivated articulation of the life of a self, and therefore is in a sense an affirmation or reaffirmation of a self-identity. Even to articulate self-doubt, crisis , or open exploration is to affirm a state of affairs, a condition of self-hood. As Anthony Giddens (1991) argues in Modernity and Self-Identity, “A person’s identity is not to be found in behavior, nor—important though this is—in the reactions of others, but in the capacity to keep a particular narrative going. [This narrative] must continually integrate events which occur in the external world, and sort them into the ongoing ‘story’ about the self” (p. 54). Thus, as psychologists we must be always attentive to the motivations embodied in narratives, because we are not studying recording machines, we studying human beings, who are purposive beings, meaning-seeking beings! Naturally, personal identity can be narratively expressed in an infinite variety of ways, from the dogmatic and unquestioning to the explorative, from the certain to the uncertain. This process is lived dynamically and may not be well-integrated by a given person at the time one interviews them…so, of course, multiple, contradictory currents can be present within the same narrative, and often are. Indeed, it may even be an essential constituent of the narratives offered in psychotherapy that contradictions—or at least tensions—are present, because those tensions are central motivations in the therapeutic event itself. Similarly, when we interview people as researchers, we are just as likely to discover tensions, seeming contradictions, lapses, and gaps in the data—if we have done our job well, we are encountering these complexities precisely because they are the traces, in language, of the complexities of our participant’s lived experience. Whether we work with this data phenomenologically or hermeneutically, we are seeking to grasp precisely this complexity, not to reduce the data to a harmonious, unproblematic narrative.